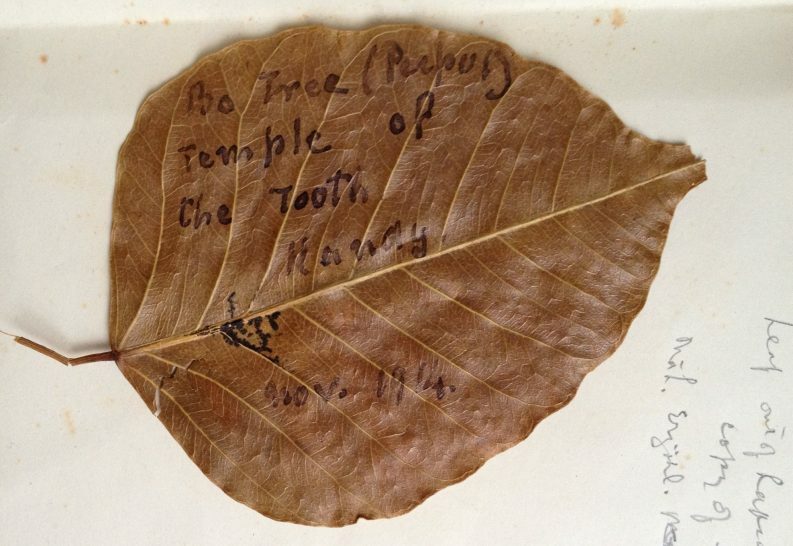 Some unexpected recent discoveries at the Ancient India and Iran Trust were two preserved leaves from the bodhi or pipal tree (ficus religiosa). 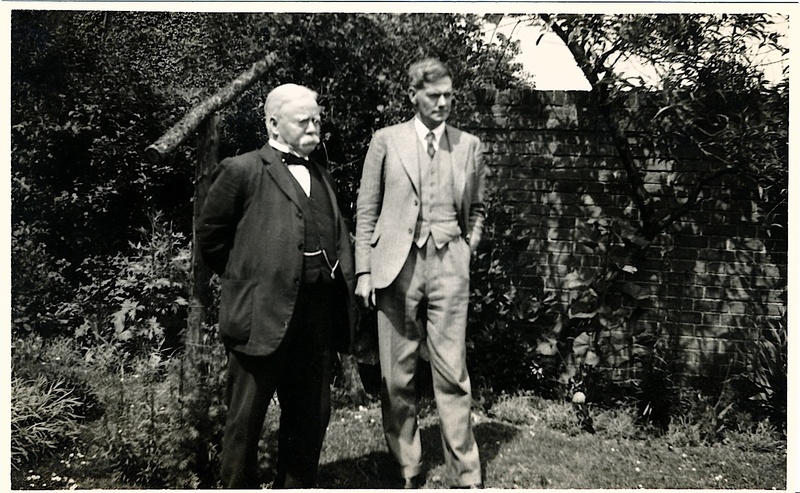 Professor Edward Rapson (1861-1937) began his distinguished career as a numismatist in the department of coins and medals at the British Museum in 1887. In 1906 he left to become Professor of Sanskrit at Cambridge and was succeeded on his retirement in 1936 by Harold Bailey. One of Rapson’s most important works was the decipherment and edition with Auguste M. Boyer and Émile Senart of the Kharoshthi documents discovered by Stein at Niya in Central Asia. This was a subject dear to Bailey’s heart, indeed his volumes are so well-used that they are in a somewhat sad condition. The Temple of the Sacred Tooth Relic is a Buddhist temple in the city of Kandy, Sri Lanka. 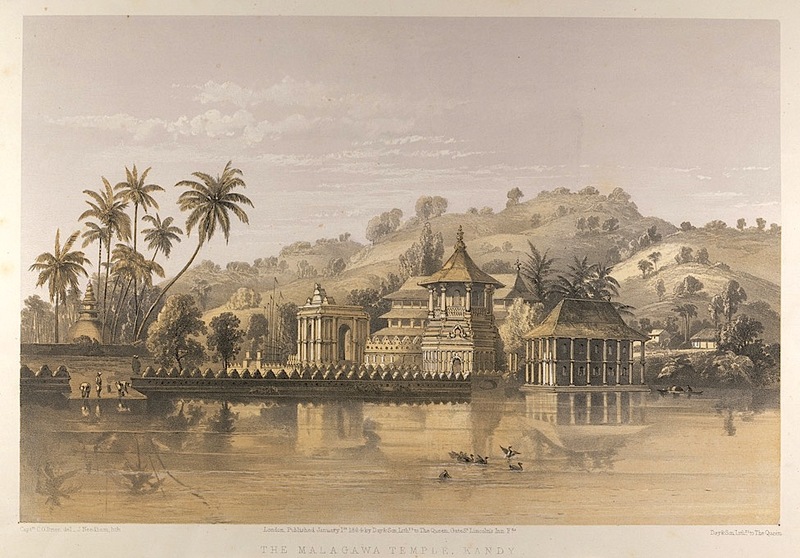 It is located in the royal palace complex of the former Kingdom of Kandy, and houses the relic of the tooth of the Buddha, brought to Sri Lanka, according to legend, in the 4th century AD by Princess Hemamali, hidden in her hair. 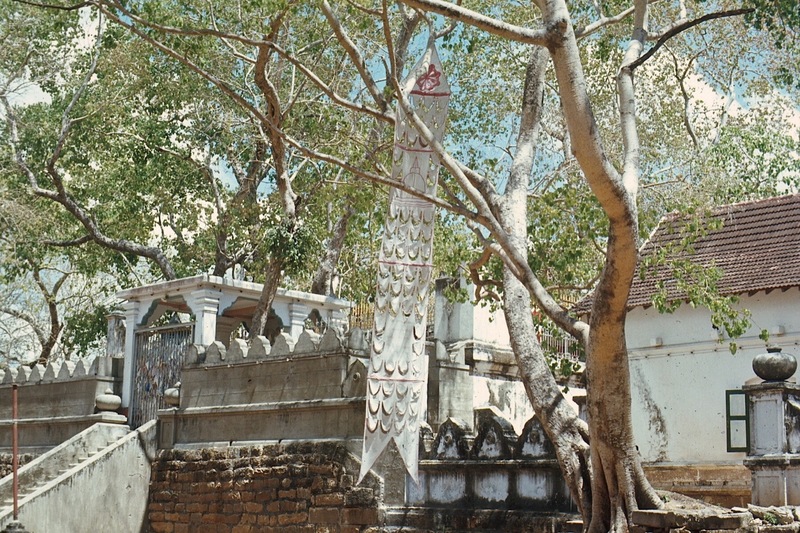 The bodhi or pipal tree (ficus religiosa) is regarded as sacred in that it was the tree under which the Buddha attained enlightenment. The tree symbolizes enlightenment and peace while its bark, fruit and, especially, leaves are believed to have medicinal properties and are used for the treatment of asthma, diabetes, diarrhea, epilepsy, gastric problems, inflammatory disorders, jaundice and heart disorders.